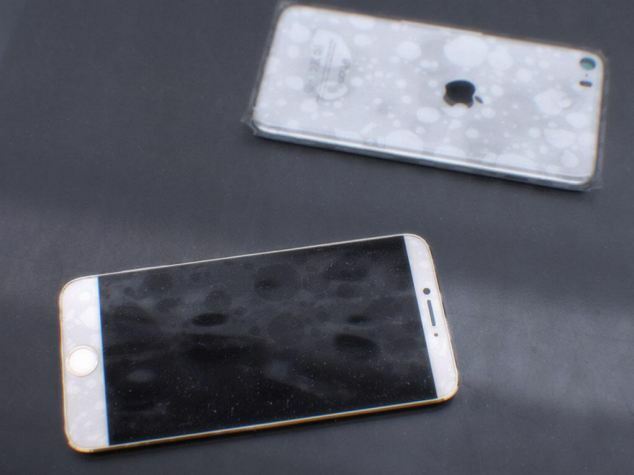 A mysterious Twitter user has posted a series of pictures claiming to be the casing of Apple’s iPhone 6. They show handset in various states of competition sporting a bigger screen and a slimmed down, curved design. The images were posted to a mystery Twitter account, with no way to know if they are real. The user, mornray866 does does reveal how he obtained the prototypes – or why many of the shots show them in plastic bags. They are the latest in a long line of images claiming to reveal apple’s latest handset – even though Apple itself has refused to comment on any details of the upcoming phone. 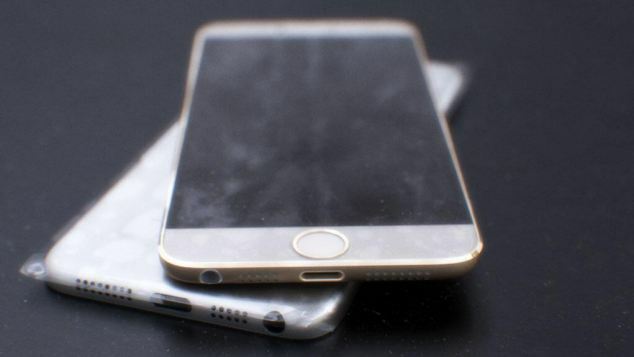 Rumours claim it will be a a range of handsets with a 4inch, 4.7inch and 5.5inch screen. It was also claimed today the handset will use a new camera module from Sony to boost its front facing camera to improve the quality of selfies. The Japanese firm already supplies nearly all of the CMOS (complementary metal-oxide semiconductor) sensors for the current iPhone models’ rear-mounted main cameras, according to Nikkei. Apple is likely looking to switch to Sony sensors for the secondary camera on the screen side, used for taking self-portraits, it claimed today. Another recent concept by Italian artists Enrico Penello and Ran Avni reveals a host of new features they would like to see included, with a curved glass screen and shows how these devices will be. 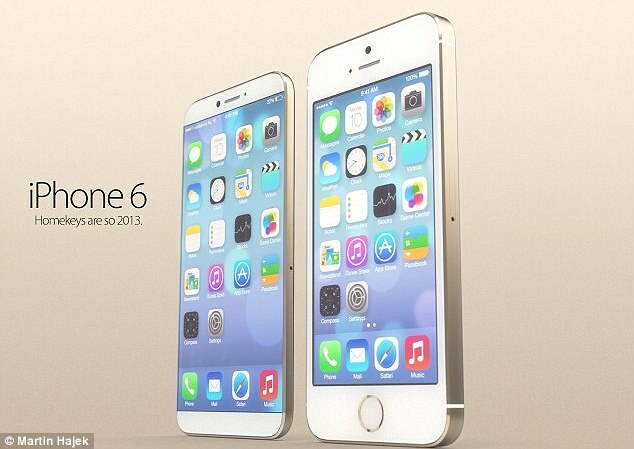 Introducing the iPhone 6 devices. It shows a curve screen with ‘bumps’ at the top and bottom, along with an illuminated Touch ID sensor used to recognise fingerprints. 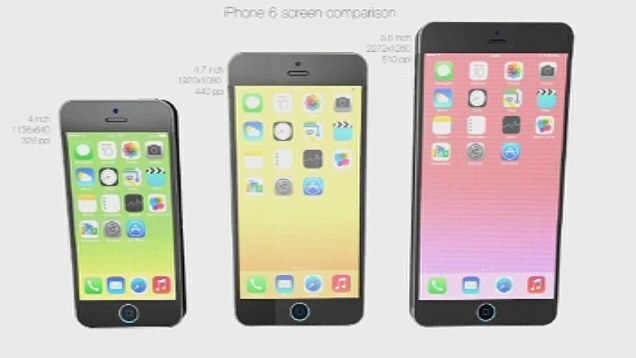 The latest rumors claim that Apple will launch three new iPhone models – 4 inch, 4.7 inch, and 5.5 inch. This new concept by Enrico Penello and Ran Avni shows how these devices could look. The pair also outline what they think the screens will be: ‘The screens: 4 inch 1136×640 ( 326 ppi ) display for the cheapest iPhone, 4.7 inch 1920×1080 ( 440 ppi ) display for the standard iPhone, 5.5 inch 2272×1280 ( 510 ppi ) display for the largest iPhone. The latest mockup comes after Taiwanese sources say the camera in the iPhone 6 will get a boost to ten megapixels from its current eight, along with a new lens offering better picture quality. It is also expected to boast a new filter allowing clearer pictures. According to MacRumours, the new filter will replace the hybrid IR filter used on the iPhone 5s with a resin lens filter manufactured by Japanese company JSR. 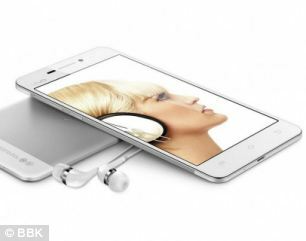 Recent rumours also claim there will be two models, one with a 4.7inch screen, and one with a 5.7inch screen. 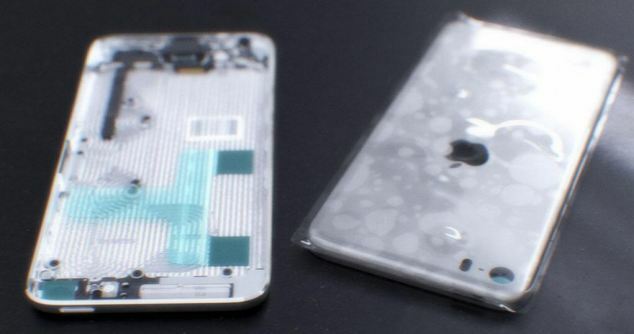 Apple’s iPhone 6 is rumoured to come in a slim ‘Air’ version. Up until August last year, Huawei was the record-holder for the thinnest phone in the world with its Ascend P6, at 6.18mm. This was then replaced by the Vivo X3 at just 5.75mm. 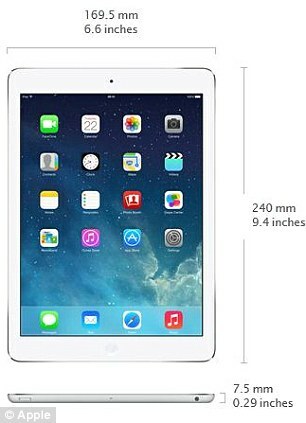 By comparison, Apple’s current iPhone 5S has a depth of 7.6mm, while the iPad Air is slightly thinner at 7.5mm. Samsung’s Galaxy S4 is 7.9mm thick, while the HTC One is 9.3mm. 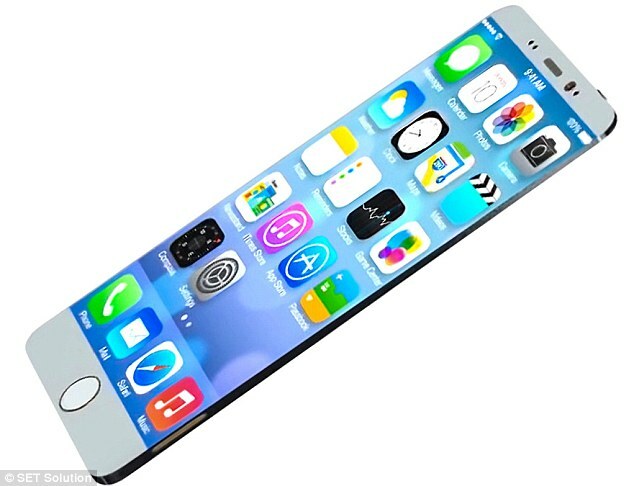 Previous rumours have pointed to a super slim ‘iPhone Air’ model, which could be the smaller handset. The two new handsets are expected to be revealed at Apple’s annual annual developer conference, held in San Francisco in June. It is where the firm traditionally makes new product announcements. If announced, the handsets are expected to go on sale within weeks. 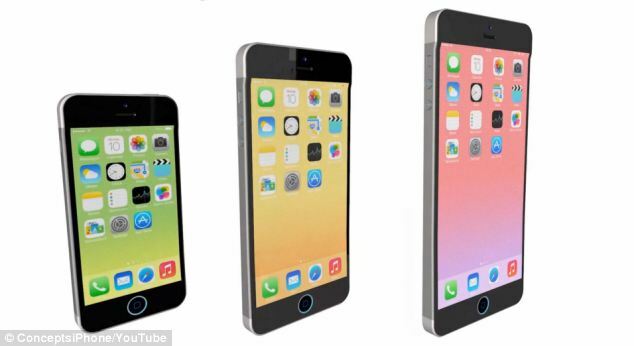 According to Sun, the iPhone 6 will come with a 4.7-inch screen, with a display resolution of 1,136 by 640 pixels. The company would then launch a larger 5.7-inch model shortly afterwards. Apple surprised a number of people last year when it unveiled its super-thin iPad Air, and rumours suggest it could be working on making an equally slender version of its iPhone. Two concept images have emerged that show Apple’s next-generation handset with a slender chassis, as well as a larger 5-inch screen similar to those seen on the Samsung Galaxy S4 and HTC One. 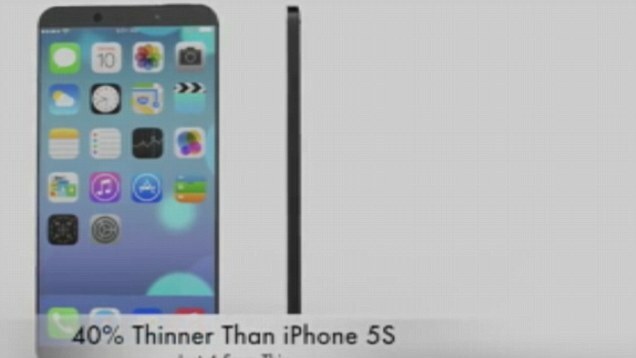 The first concept predicts the phone – dubbed the ‘iPhone Air’ – will be 4.5mm thick, while the second goes a step further showing the device as 1.5mm at the top and 3mm at the bottom. 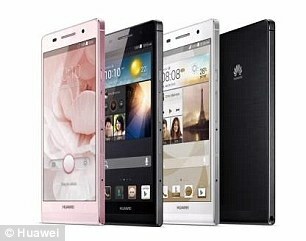 Up until August last year, Huawei was the record-holder for the thinnest phone in the world with its Ascend P6, at 6.18mm. This was then replaced by the Vivo X3 at just 5.75mm. In order to make the Apple phone super-thin, Fuse Chicken’s concept suggests doing away with the physical home button in place of touchscreen keys. SET Solution’s concept, instead, keeps the home button by making the bottom of the phone thicker than the top. It also appears taller than Fuse Chicken’s version in order to fit the larger screen. 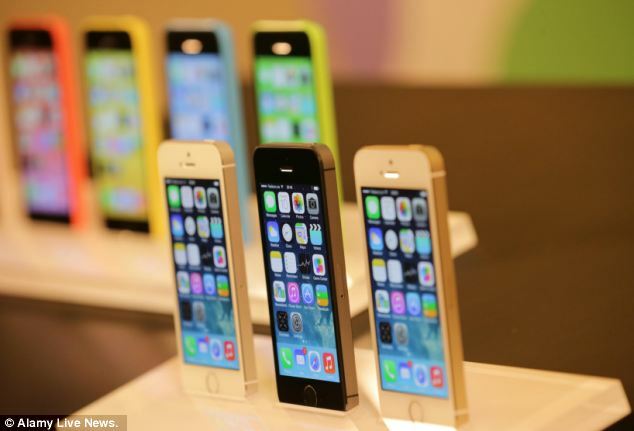 Apple’s iPhone has one of the smallest screens on the market and many experts predicted the screen on the iPhone 5S would be the first to break the 4-inch mark – but it didn’t. Apple’s CEO Tim Cook has previously said his firm has kept to smaller screens because they’re easier to use and more comfortable to hold in the hand. However, with main rivals Samsung, HTC and Nokia releasing phones with screens in the 5-inch region, analysts claim Apple may have to increase the size of their designs to appeal to more people. Last November, designer Martin Hajek created a concept demonstrating it was possible to increase the iPhone’s screen size, without drastically increasing the size of the handset. In his image, the screen is shown as stretched to reach left and right edges. However, because the bezel would need to be a certain size to avoid the screen being touched by accident, when it’s picked up for example, the usable screen size would be much smaller reduced. He continued that if Apple was capable of making a phone as thin as the concepts suggest, which would also depend on making the components small and thin enough to fit inside the chassis, it could also pave the way for foldable devices.